Do you know the cost of ignoring Alzheimer’s disease? We have a mission at Memory Ball, and that is to end Alzheimer’s disease in this lifetime. 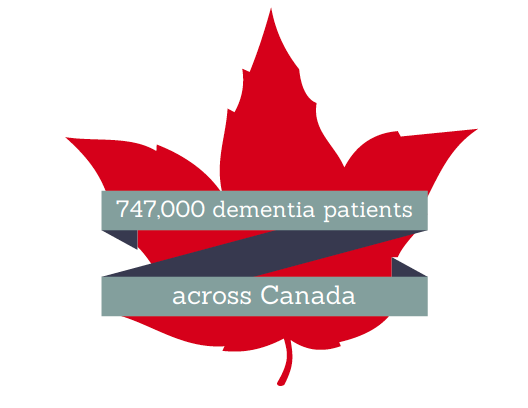 Right now, there are currently about 747,000 people with dementia across Canada. That number is expected to double to 1.4 million by 2031. Alzheimer’s is officially the 6th leading cause of death in the United States and the 5th leading cause of death for those aged 65 and older. This number could actually be higher, because it may cause even more deaths than official sources recognize. Alzheimer’s disease is becoming an epidemic, but it can be stopped. We can make a difference. Deaths from Alzheimer’s increased 68 percent between 2000 and 2010, while deaths from other major diseases decreased. Alzheimer’s disease is the only cause of death among the top 10 in America that cannot be prevented, cured or even slowed. What’s the answer? Alzheimer’s disease needs more research, and for that, it needs more funding. The National Institute of Health’s funding for HIV/AIDS research receives 23 times the level of that for Alzheimer’s disease research, and cancer research receives 12 times the level spent for Alzheimer’s disease research. These diseases need funding – they are truly devastating. However, there are 5 times as many Americans with Alzheimer’s than with HIV, and more people die each year in the United States from Alzheimer’s disease than from the two most commonly diagnosed types of cancer (breast and prostate) combined. Let’s make sure that Alzheimer’s Disease receives the attention it deserves, too. Alzheimer’s disease is the most expensive condition in the nation. The cost of dementia in Canada is pegged at $33 billion a year. 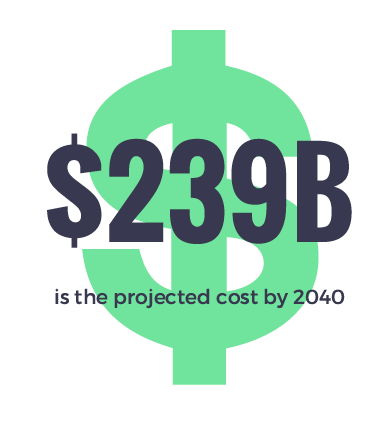 By 2040, it will balloon to $239 billion, according to the Alzheimer Society. 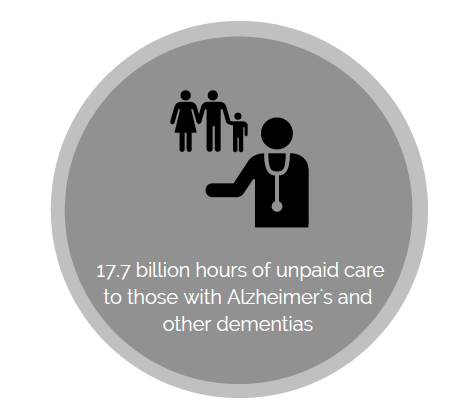 This doesn’t include the unpaid hours of work that go into caring for those with Alzheimer’s disease. In fact, one-in-five Canadians age 45 and over are providing some form of care to seniors who have long-term health problems. In 2013, 15.5 million family members and friends provided 17.7 billion hours of unpaid care to those with Alzheimer’s and other dementias; care valued at $220.2 billion. We need to do something now so that our medical system is not crippled by the cost of caring for people with this disease. Let’s do something. Let’s get together for Memory Ball 2016 and change the course of Alzheimer’s disease.